Talented artist. Creative musical genius. Electronic wizard. Craftsman. These are terms used by everyone who works with him, to describe Jim Gordon. While arranging and recording for Ray Charles, Delaney and Bonnie, Mason Williams, John Hartford, Leon Russell, Glen Campbell, and the Boston Pops Orchestra took most of his time, Jim also found time to plan and record his own album. Using the technical facilities of Hollywood Sound Recorders, including stereo acoustic echo, sixteen-track tape machines, electronic harpsichord, rocksichord, keyboard bass, clavichord, piano, drums, and many newly invented musical instruments, his "Jim Gordon Plays Heavy!" album is a creation of imagination coupled with technology. Warrior Records reissue of this album marks the first time this music has been available, since it's initial release in 1967. "I want my music to be a force for creative change." These words express Jim Gordon's musical philosophy. Listening to this album will give you insight into this philosophy. Jim Gordon's musical life started years before he was born. His father's family were all musicians -- the Gordon family band in the 1930's had a nightly radio braodcast on KFBB. Claude Gordon became a renowned trumpet player and educator. He wrote several books about brass playing. Whenever you see "I Love Lucy" on TV, that's Claude Gordon playing trumpet. Jim Gordon started playing the piano at 2 and studied piano formally at 5. He started playing clarinet at 11, began working as a professional musician at 14, and played professionally all through high school. During those years, he was active in electronics, had an amateur radio license, and built numerous electronic devices for music. He studied arranging and composition with Bob Soder and graduated from high school in 1955. He moved to L.A., got a scholarship to the L.A. Conservatory of Music, and recorded a jazz piano album for Delcro Records, "Garden Party." Jim studied clarinet, saxophone and flute with William Green, and studied composition and arranging with Marty Paich and Paul Weirick. In 1958 Gordon started doing record dates and playing with local L.A. night club bands. 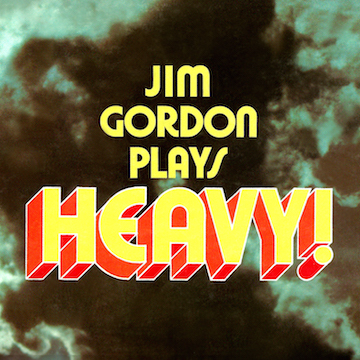 In 1967 he recorded an album of experimental pop music, "Jim Gordon Plays Heavy!" using tiny electro-acoustic drums (cutting edge technology for that era). In 1970, Jim was on a concert tour/train trip/party with Delaney & Bonnie, Janis Joplin, The Band, The Grateful Deal, Buddy Guy and others. Check out the Festival Express movie. Gordon did lots of sessions playing, arranging, conducting and producing in the '60s and '70s, a "studio musician." He recorded with early Moog synthesizers and even with a "poor man's Moog" (a Heathkit oscillator, a telegraph key, and a Fender amplifier). During the 70's and 80's, Jim worked as an engineer for Stereo Masters (studio) and as a producer for Warner Brothers. In 1975, Gordon designed and built an experimental percussion synthesizer. It not only created percussion sounds, but also measured timing of musical events. Accuracy was to one microsecond. The synthesizer was demonstrated at the 1977 Southern California Computer Society Computer Music Symposium. John Chowning and Leland Smith from Stanford also spoke. On the front page of the May 8th 1977 L.A. Times Calendar section, writer David Barry wrote an article about Gordon and the synthesizer. 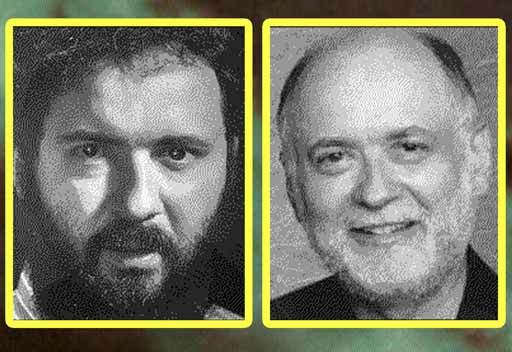 During this time Gordon was also involved with the Harry Partch ensemble at UCLA, and also spent time with microtonal expert and enthusiast Ivor Darreg. 1976, Jim performed in the Last Waltz Movie with The Band, playing saxophone, clarinet, and flute in the horn section and worked with Phil Spector recording the "Rock 'n' Roll" album with John Lennon. Over the years, Jim Gordon has recorded with so many artists -- a parital list follows: Andrew Sisters, Johnny Appolo, The Band, Elvin Bishop, Pat Boone, Will Brady, Bonnie Bramlett, Delanie Bramlett, Jackson Browne, Clora Bryant, Sam Butera, Glen Campbell, Kim Carnes, The Champs, Ray Charles, Frances Coche', Sam Cooke, Andre Crouch, Rick Danko, Bobby Darin, Jesse Ed Davis, Jerry Fuller, Leslie Gore, Dobie Gray, Cal Green, Arlo Guthrie, John Hammond, Jimmy Haskell, Jimmy Holiday, Waylon Jennings, Dr. John, Clydie King, Freddie King, John Lennon, Jimmy Lewis, Joe Maini, Joni Mitchell, Maria Muldaur, Ricky Nelson, Wayne Newton, Harry Nilson, Billy Preston, Bonnie Rait, Linda Rondstadt, Leon Russel, Soupy Sales, The Seeds, Maxine Sellers, Phil Spector, Ringo Starr, John Stewart, Rod Stewart, Ike Turner, Tina Turner, The Ventures, Jennifer Warnes, Bobbie Womack, Stevie Wonder, Eddie Zip. In 1980, Gordon left Hollywood, moved to Orange County, California and became a full-time computer software developer and consultant. In 1990, became active in music again, although with goals different than those of the Hollywood years. He built a studio and again began producing his own music.